Why does wrapping a vegetable, fruit, or piece of animal protein in prosciutto just scream “class”? Bacon is so masculine. Not to impose stereotypical gender roles upon food (haha), but anything wrapped in prosciutto comes across as beautiful and delicate to me. Well, that or I feel like I could be in the presense of a delicious Bon Appétit spread. 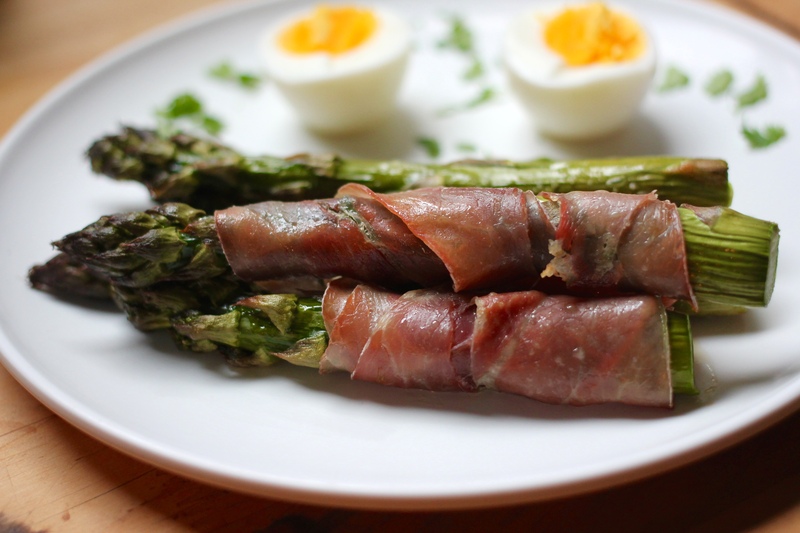 Prosciutto-Wrapped Asparagus certainly makes for a great party appetizer, en masse. Some nights, however, a light dinner is at your fingertips with just two basic ingredients. Perhaps, for me, that night was last night when I prayed I had something in my fridge that could tide me over and save me from having to go back outside again. A few stalks of asparagus? Check. A few uneaten strips of prosciutto? Check. A hard-boiled egg? Check. Cilantro so I could arbitrarily sprinkle it on my plate for an extra pop of color? Check and mate! – This recipe makes six asparagus spears. 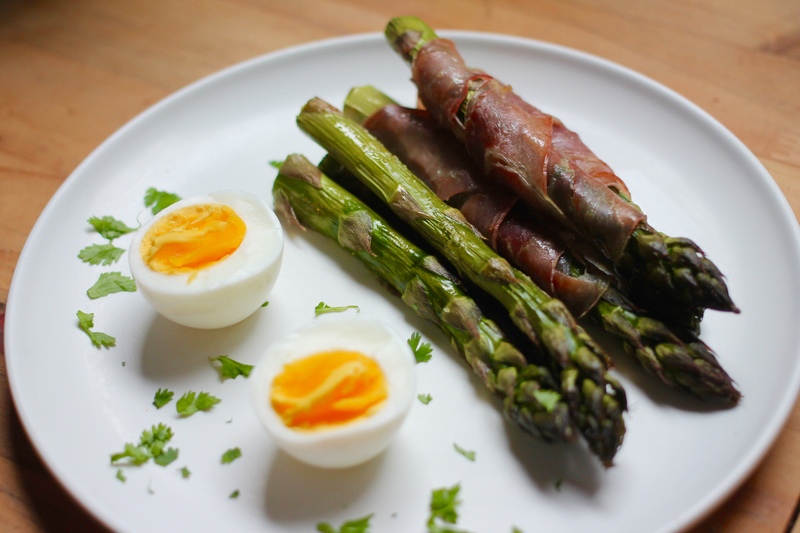 (For those that may not be as quick to realize that as others…) Adjust quantity of asparagus and prosciutto as needed. 2.) 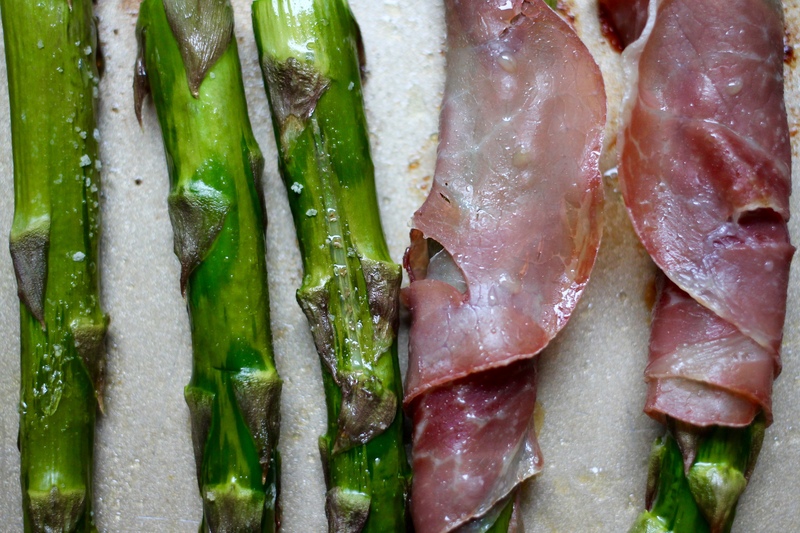 Remove prosciutto from packaging and wrap individual slices around asparagus. 3.) Place asparagus on baking sheet; drizzle with olive oil and salt to taste. 4.) 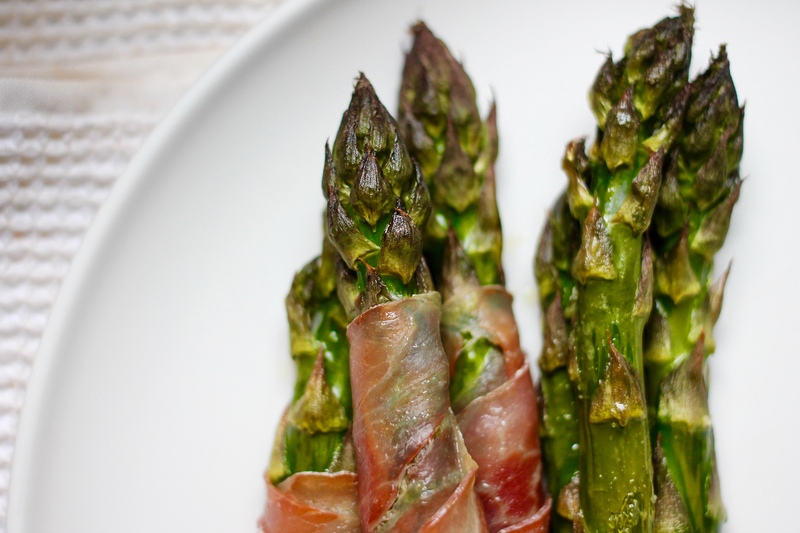 Bake for 15 – 20 minutes until prosciutto is crisp, asparagus spears are tender, and asparagus tips are roasted. this looks delicious! The photo is STUNNING! If you’re interested, I’d love for you to share a post in my blog link up tomorrow. 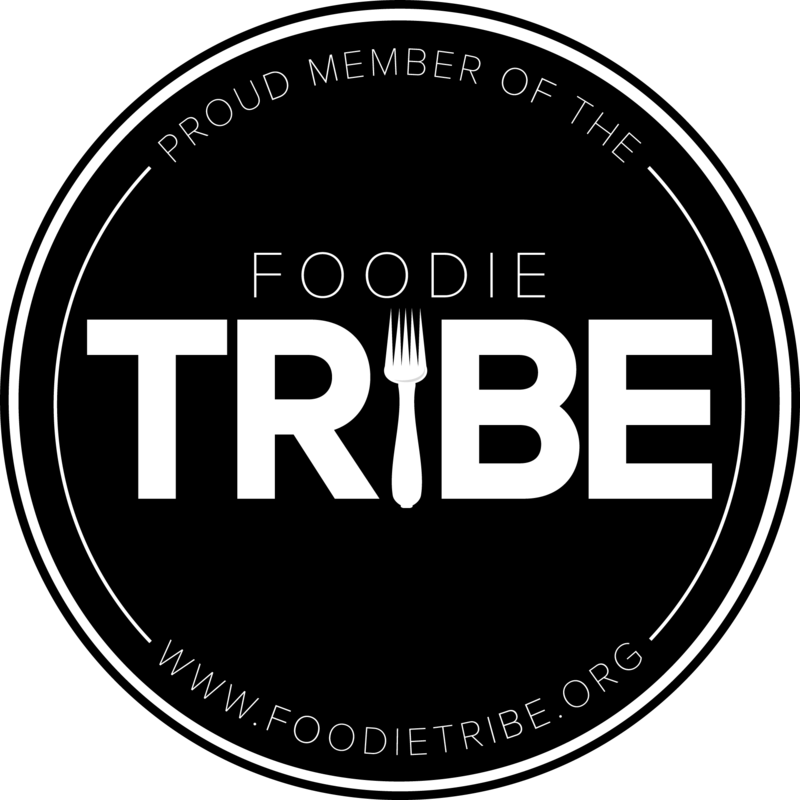 All you need is the URL of a post you’d like to contribute and it’s a great way to network with some awesome bloggers. I wrote up a quick explanation on my main menu under ‘Tell em Tuesdays’. I hope you’ll join in!